Corporate sponsorship means your business supports some worthwhile entity or event in your community in exchange for promotion by the entity or event. Many businesses view corporate sponsorship as a form of charity – a way to be a responsible corporate citizen. That’s a big part of it, but corporate sponsorship is also an important and underutilized form of advertising. Today we’ll discuss how you can best use corporate sponsorship to your advantage. 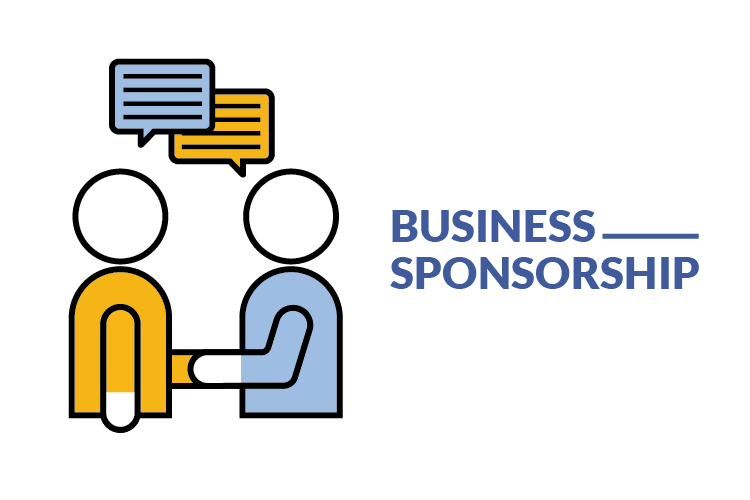 What kinds of corporate sponsorship opportunities exist? Corporate donations are generally acknowledged in annual reports etc., and are less of a promotional opportunity. By contrast, a corporate sponsorship implies that the sponsored organization is going to provide promotion to the sponsors in a tangible way. Some non-profit organizations are better-positioned to provide bona fide sponsorship opportunities than others for a variety of factors, including the type of work they do. That said, non-profit organizations of all types often seek sponsors for events. Event sponsorships are often a good opportunity for your business to get positive exposure, because the event will be actively promoted by the organization and will attract an audience. Festivals: Street fairs, music festivals, food festivals, ethnicity festivals, outdoor recreation festivals, block parties, motorcycle rallies, film festivals, etc. Parades, classic car shows, antique fairs, community days and similar events also fall in this general category. Holiday celebrations: community celebrations of July 4, New Year’s Eve, etc. What does my organization get for sponsoring? What you get for your sponsorship varies widely, depending on what you’re sponsoring, and the dollar amount you commit. It’s important to get your sponsorship deal in writing. The bigger the investment, the more important this is. What should my business sponsor? What is the sponsored entity? Educate yourself a little bit about who they are and what they do. What is the audience for the sponsored event or organization? Consider all demographics – age, gender, socio-economic status. Larger organizations will be able to give you demographic information on who they reach. Does their audience line up with yours? How big is the audience? How many people will attend the event/see the exhibit/be exposed to your sponsorship message? Where are they located? How does the organization treat its sponsors/donors? A scroll through the website/social media should give you a pretty good idea. Do you like what you see? What are the tax benefits for my business? Whether donations or sponsorships that support a non-profit are tax-deductible varies depending on the type of corporation your business is, and what you are provided in return (which determines whether it’s considered a business expense or a donation. Generally, a sponsorship where you receive promotional value is more likely to be considered a business expense). But tax laws are complicated, and you should consult with your accountant to see what, if any, tax benefits might be available to your business by sponsoring or donating. Be sure you know what kind of documentation must be provided for your sponsorship or donation to qualify, including if you are making an in-kind donation. Is there an entity you’d like to support for whom you think an in-kind sponsorship would be a good match? In-kind sponsorships are often negotiated one-on-one, because they are a unique match between the sponsor and the sponsored entity’s needs. Does the sponsored entity have a need you can fulfill? Is there something the sponsored entity can offer that you’d like to have? Approach them with your idea! In some industries, there are opportunities to leverage national sponsorship dollars to support local events. In other words, if a local distributor of a national brand wishes to sponsor a local event that makes sense for that brand, the local sponsor can sometimes invest a certain dollar figure in order to leverage national sponsorship funding, thus increasing the overall dollar amount provided to the sponsored entity. Stay abreast of any such opportunities that might exist in your industry — you’ll get a bigger bang for your sponsorship dollars, while channeling more money into your community. Educational Improvement Tax Credit Program (EITC): Through this program, eligible businesses can contribute to an approved scholarship organization, an educational improvement organization, or pre-K scholarship organization and receive tax credits equal of up to 75 percent of the contribution. Neighborhood Assistance Program (NAP Tax): Through this program, non-profit organizations with projects that benefit low-income individuals receive contributions from for-profit companies. The companies receive a tax credit (exactly how much depends on the type of project the contribution will support). What should I do after I sponsor something? Your business should activate your sponsorship by taking full advantage of whatever opportunities the sponsorship might include, and promoting your involvement through every avenue available to you. Be sure you provide the sponsored entity what they need to promote you. The sponsored entity cannot make you look good if you don’t help them.You will need to provide a logo, and maybe a program ad and so on. Many times logo banners are hung at events – it can be a good idea to have one made that you can use over and over. Consider your message. If your sponsorship includes an ad, your ad should resonate with the sponsored entity’s audience. Maybe your ad should make it clear that you’re a sponsor, and if applicable point out your in-kind contribution. Your ad will likely be one of many – what would make yours stand out? Consider giveaways. If you can do giveaways, you might get creative – branded helium balloons at a children’s event, maybe, or printed fans at a summer festival. Label your in-kind contribution. If your business provides, say, rental equipment to the event, make sure you place a sign on the equipment that says so (magnetic or cling signs are easy and inexpensive to produce)! Or if you provided tableware or food for a special event, make sure there are tent cards on the table explaining where it came from. Actively promote the sponsored entity and your involvement. You should promote that you’re being a good corporate citizen to your audience — while the sponsored entity is promoting you to their audience! You can, for example, make social media posts that say things like, “Prime Design Solutions is proud to support ORGANIZATION through the in-kind donation of a logo for their SPECIAL EVENT.” Use your e-newsletter, social media, blog and so on. This helps promote the sponsored entity or event while making you look good to anyone who sees the information. Take full advantage of promotional opportunities afforded by the sponsorship. Make sure you take advantage of opportunities to distribute literature or information. Would it make sense to offer attendees a coupon, discount code for online shopping, or some other type of special deal? Go to the event and network. Make full use of any comp tickets your sponsorship provides, and network with all the movers and shakers who are there. But if you’re not able to fill that table of 10 you bought, you should let the sponsored entity know how many will actually attend so they don’t pay for wasted meals — that extra money will increase their bottom line, and they can revise the seating chart accordingly. But again, it is much better to actually go to the event and network! If it’s a festival rather than a fundraising dinner or gala, can employees or staff volunteer, wearing company T-shirts or polos? Make sure the sponsor is holding up their end of the deal. Watch to see that they provide everything they said they would. Evaluate the sponsorship afterward. What did you get out of it? How did it go? Would you do that sponsorship again? What did you learn from it?